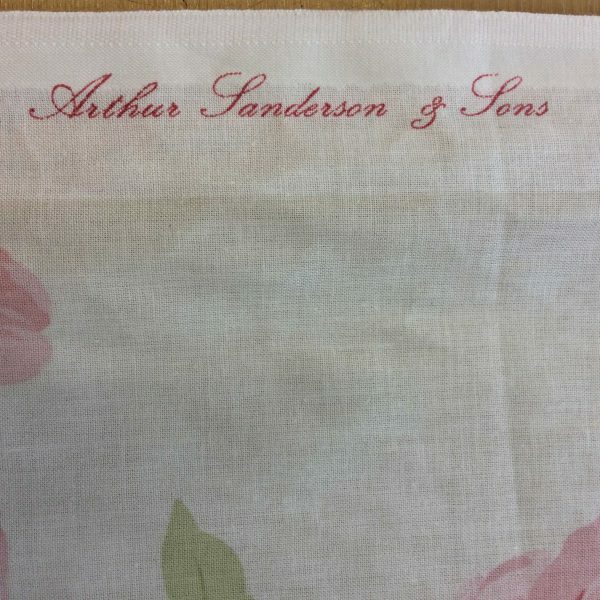 Product code: A35 Categories: Arthur Sanderson & Sons, Cotton, Creams & Whites, Floral & Trees, Luxury Fabric, Pinks. 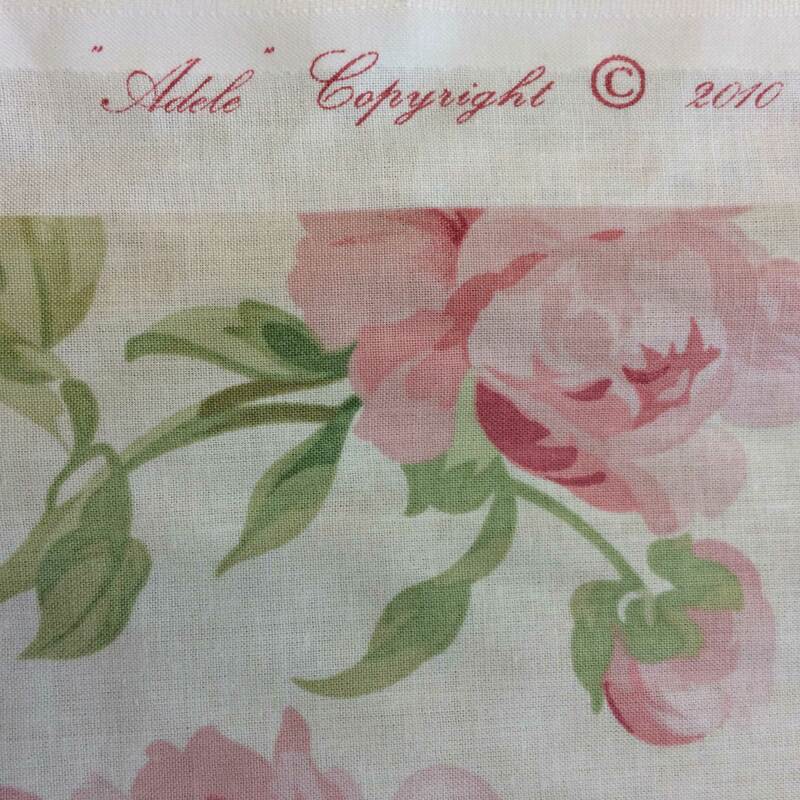 Adele by Arthur Sanderson & Sons is a beautiful floral fabric. Beautiful Adele is an authentic replica of a late 19th century French copper roller design. The design features floral bouquets. 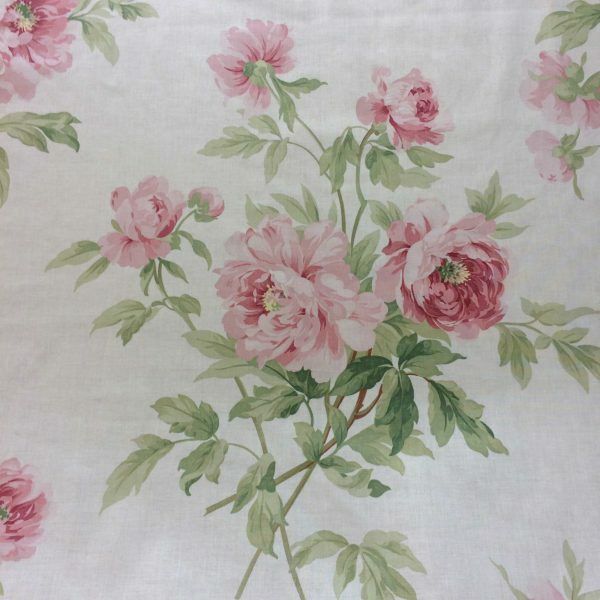 The fabric is off white with pink peonies and green stems. 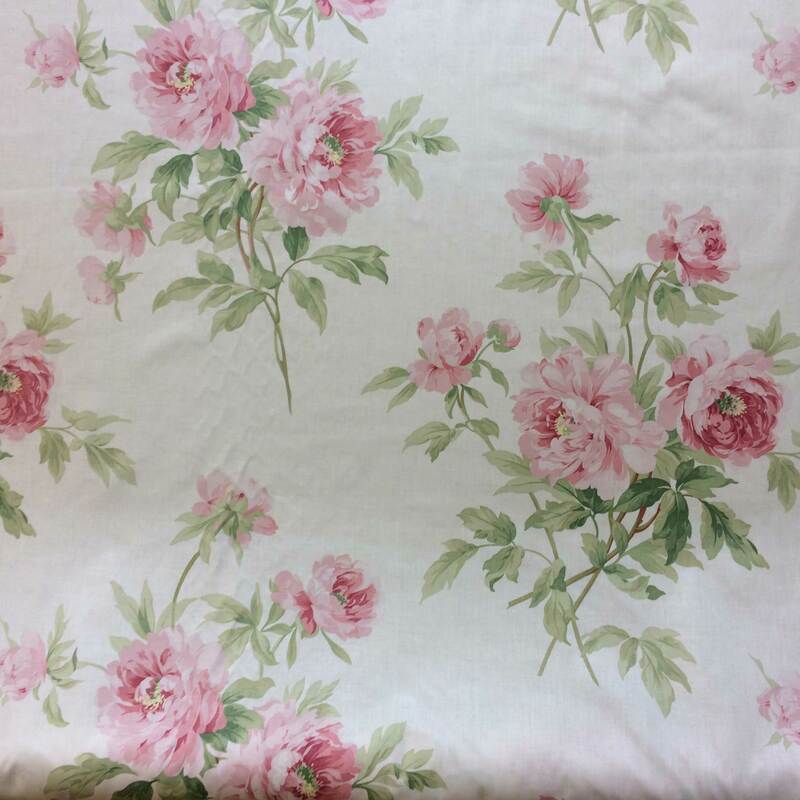 The floral design has been sympathetically placed on the fabric to create an elegant pattern repeat. 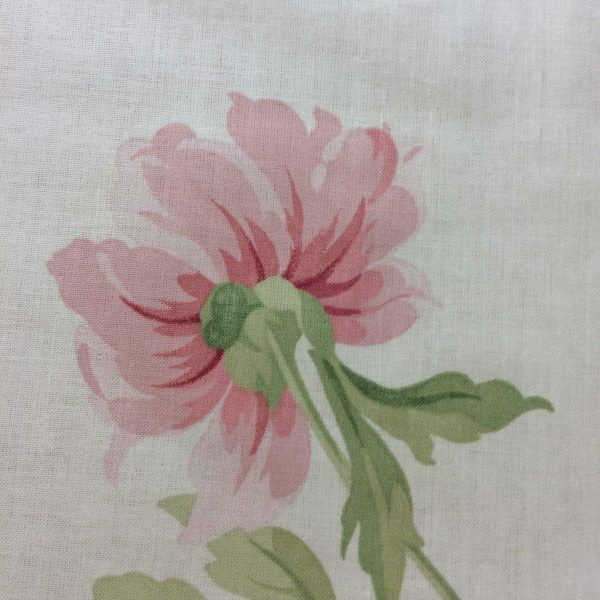 The pattern repeat measures at 64 centimetres. This pattern is also repeated across the width of the fabric at 75 centimetres. This is a glazed cotton fabric that is suitable for curtains, blinds and cushions. The fabric measures 1.5 metres in width, excluding selvedge. 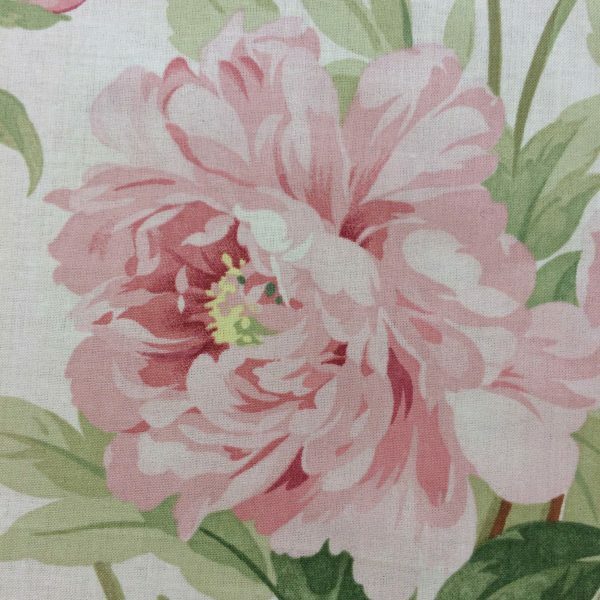 An elegant fabric like Adele by Arthur Sanderson & Sons would suit a bedroom or sitting room. 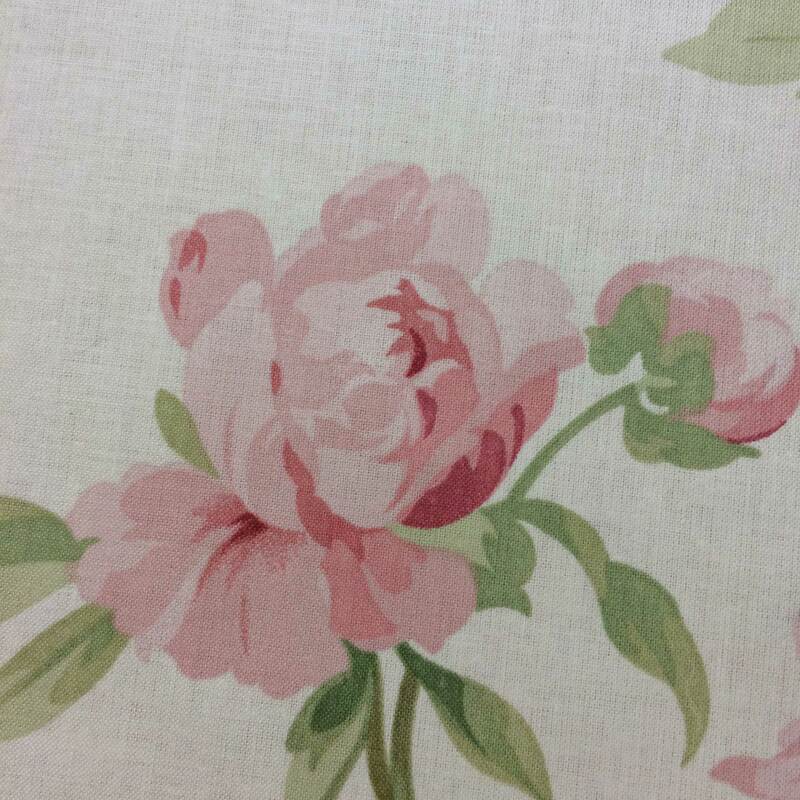 We cut our fabrics from the roll. 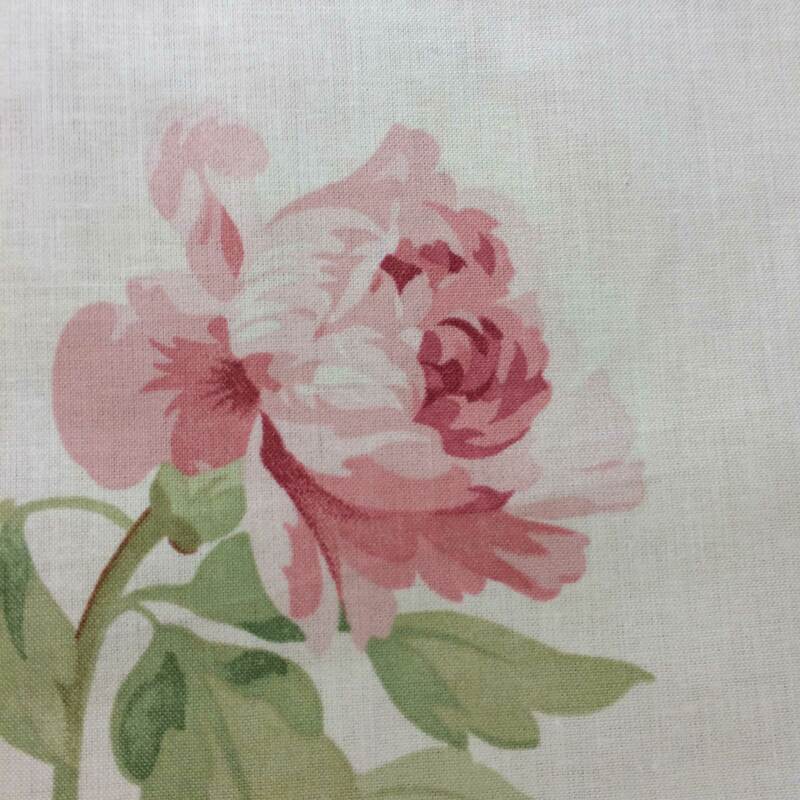 When we process your order we will cut fabrics as a singular continuous piece.